H2O Innovation has been active in advanced water treatment applications with RO since 1998. 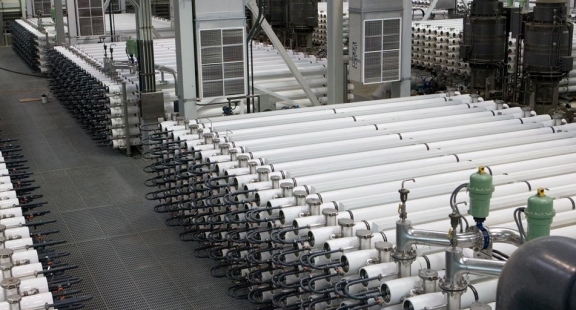 Some of the first wastewater reuse RO facilities in North America were supplied by Membrane Systems, Inc. (MSI), a San Diego, California based legacy company acquired by H2O Innovation in 2006. Several employees from the original group from MSI continue to work for H2O Innovation and our experience has grown to include UF/MF and MBR expertise in water reuse and other applications. 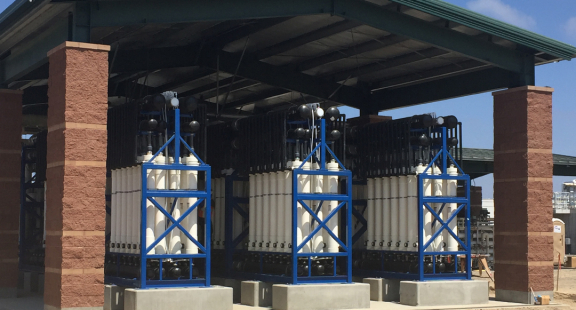 H2O Innovation is now a leader in membrane technologies for water reuse applications, supplying some of the largest membrane systems of their kind in North America, including the Orange County Water District GWRS Phase 1 RO and the upcoming San Diego PURE Water UF system. From treating secondary effluent for groundwater injection to polishing tertiary effluent for reuse in an industrial process, we can provide a solution for any reuse or recycling standard. Through various membrane filtration technologies, H2O Innovation is capable of treating domestic and industrial wastewater and producing non-potable water for multiple applications, such as irrigation, farming, replenishment of aquifers, etc. Ultrafiltration and microfiltration enable the filtration of small suspended particles found in different types of water source. Membrane bioreactor process, used in wastewater applications, combines the use of advanced biological processes with state-of-the art membrane filters. H2O Innovation’s biological wastewater treatment, the Bio-Wheel™, is an integrated fixed-film activated sludge (IFAS) rotating aerator. H2O Innovation’s monitoring package offers alarms and reports, which allows you to control of your system right in the palm of your hand. Ready to see what H2O Innovation can do for you?